Picking hardwood floors out for your home is more involved than picking almost any other flooring option. Not only are there lots of options to choose from in terms of aesthetics, but the choices you make about your hardwood could affect everything from how durable it is and how it stands up to wear to how long it lasts and how many times it can be refinished. In our last blog, we went over one of the choices you’ll need to make — solid or engineered hardwood. Today, we’ll be touching on another big choice, unfinished or prefinished hardwood. Unfinished – The term, “unfinished,” is a little misleading. It sounds like raw wood will be installed and left to its own devices in your home. But, what unfinished really means is that the floor is site-finished. Raw wood is installed, and once the installation process is complete, only then is the wood sanded, sealed and finished. Prefinished – If hardwood is prefinished it means that the wood was finished prior to installation by the manufacturer. How much variety is there? Unfinished – One of the biggest advantages of unfinished hardwood flooring is that the variety available is huge. With unfinished floors, you can choose every aspect, from the species of wood and the sawn profile to the color of the stain and the type of finish used. You can also choose to add borders or medallions — whatever you need to create the look you want. For this reason, unfinished wood is a great choice when you’re hoping to match new wood floors to existing wood floors, or for creating a custom look. 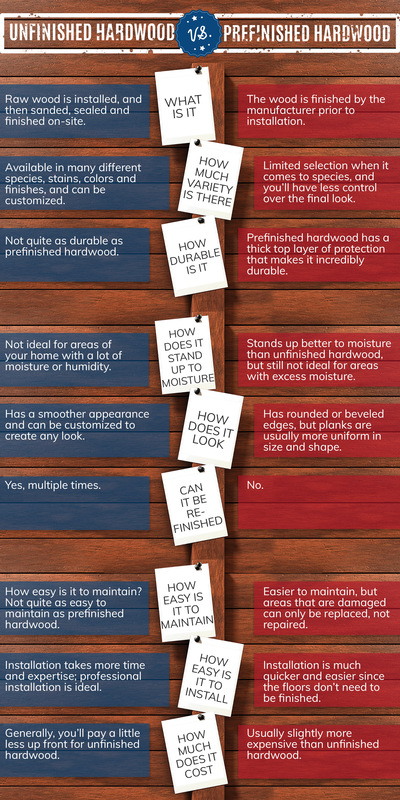 Prefinished – When it comes to prefinished hardwood, your choices are much more limited. There are fewer wood species, stain colors and finishes to choose from, and there’s not much room for customization. Unfinished – In terms of durability, unfinished hardwood can’t really compete against prefinished hardwood. Prefinished – Thanks to the factory finish on prefinished hardwood, prefinished flooring has a protective layer that makes it incredibly durable. For this reason, prefinished hardwood is perfect for areas with lots of traffic, and many options come with finish warranties. Unfinished – Unfinished hardwood floors are not ideal for areas of your home that are prone to excess moisture, and while some seals make them better able to stand up to moisture than others, it’s still not an ideal choice for those areas. Prefinished – The factory seal on prefinished floors not only makes them more durable, but also more resistant to moisture. Prefinished floors are much less likely to buckle or warp when exposed to lots of humidity; however, you should still avoid installing them in areas of your home that get a lot of moisture, or if you do, take precautions by using rubber floor mats near sinks and other plumbing fixtures. Unfinished – Among the many benefits of unfinished hardwood is that is has a much smoother appearance. This is because the flooring is sanded after installation, so height uniformity can be ensured. Additionally, there are a lot more options when it comes to the appearance of unfinished flooring, and you can customize it to create the right look for your tastes. Prefinished – Because prefinished hardwood planks come from the factory, they are usually more uniform in terms of size and shape. But, one major disadvantage to some is that prefinished hardwood planks often have edges that are beveled or slightly rounded. Beveling is not necessarily a bad thing, but if it’s not the look you want, prefinished flooring might not be for you. Unfinished – Unfinished hardwood flooring can be finished and refinished time and time again, which will probably be necessary, since it isn’t as resistant to scratches, stains and other imperfections. Prefinished – The extra thick wear layer on prefinished hardwood floors is both incredibly beneficial and incredibly disadvantageous. This layer makes prefinished hardwood flooring almost impervious to damage, but when damage does it occur, it makes it nearly impossible to refinish the floors, because it’s so thick and hard to remove. Plus, the powdered finished used in recoating can scratch up prefinished floors, so refinishing isn’t much of an option. Unfinished – It’s harder to keep stains, scratches and other imperfections out of unfinished hardwood, and although it is possible to keep it looking like new by refinishing it, refinishing is a time-consuming, drawn-out process that no homeowner wants to do more than they have to. Prefinished – Since prefinished floors have that thick layer of protection, and they are much more resistant to anything and everything that can diminish their appearance, they’re much easier to maintain than unfinished hardwood. But, again, when areas of the floor become too damaged, you probably won’t be able to repair or refinish it, which only leaves you with replacement. Unfinished – Unfinished hardwood flooring requires a lot more skill, time and patience to install than prefinished hardwood. Part of the reason for this is that the finishing is required, which draws out the installation process. Another part of the reason for this is that unfinished hardwood flooring is often custom, and that takes more time. Prefinished – Because no sanding or staining is required on-site to install prefinished hardwood, it makes the installation process quicker and easier. This makes prefinished hardwood flooring a much better option for anyone attempting to do the installation on their own. Unfinished – With unfinished hardwood floors, the bigger part of the cost is the labor, and the smaller part of the cost is the wood itself. This usually means that you’ll pay a little less for unfinished hardwood. Prefinished – With prefinished hardwood floors, the bigger part of the cost is the wood, and the smaller part of the cost is the labor. 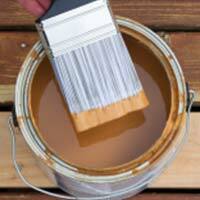 In general, you’ll pay a little more upfront for prefinished wood flooring. We hope that this blog has given you some clarity on choosing between prefinished and unfinished hardwood floors. But, as we mentioned, this is just one of the many decisions you’ll need to make in your flooring journey. Another big decision you’ll need to make is what species of hardwood to invest in. To learn about the different hardwood flooring species, please make sure that you stay tuned for our next blog. 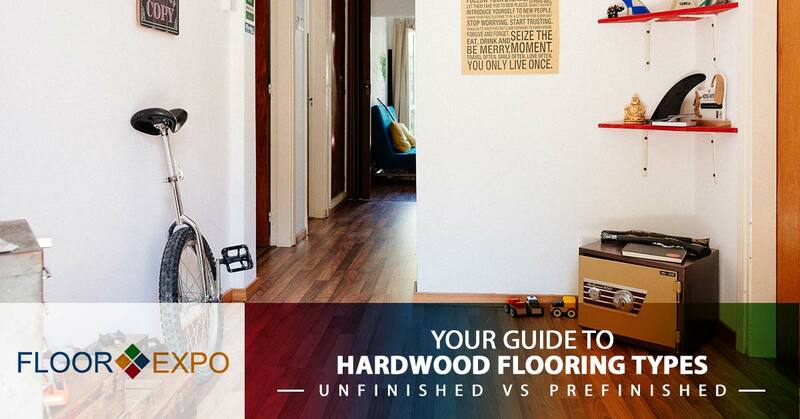 In the meantime, if you’re ready to start shopping for the right hardwood for your home, shop with us at Floor Expo. We’ve got the biggest selection available, and our specialists are always happy to help! Visit us online or stop by our flooring showroom in Fairfield today!